I just got back from my North Carolina/South Carolina vacation (or, as my sister coined it, the #brewcation). We went to a ton of breweries and checked out a lot of different towns and scenic mountain areas. Turns out there are so many breweries in Western North Carolina because it has great water – who knew! I tried all different kinds of beer and had a lot of fun being with my sister and brother-in-law for the week. However, it was kind of nice to return to my routine (minus the grad school homework)…and needless to say, after 10 days of not being at the gym, I’m sore today! 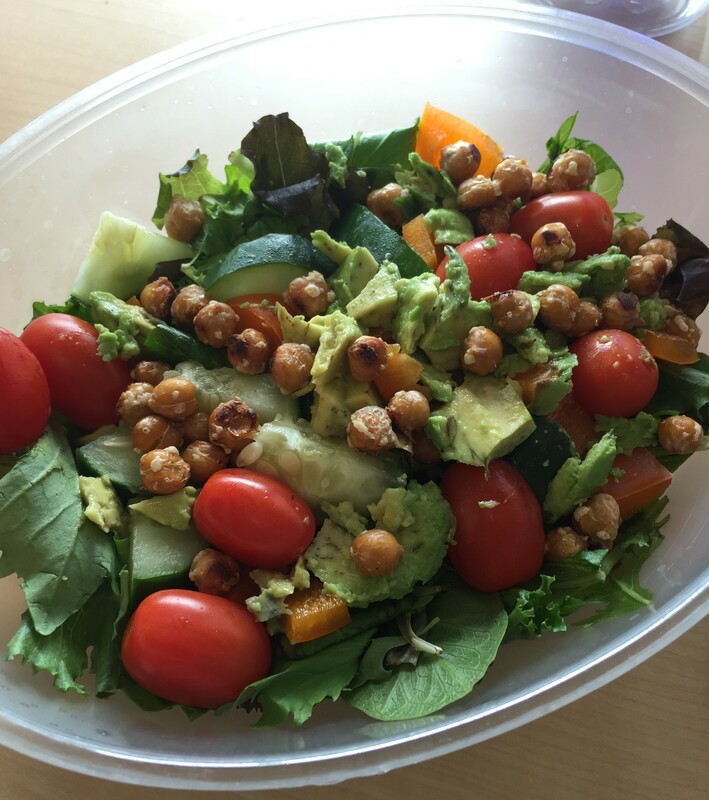 But back to my salads, healthy snacks, and home-cooked meals (although my sister cooked us up some delicious stuff while we were there!). Luckily I had some meals stashed in the freezer, since I came back on Tuesday and didn’t have time to shop and cook. 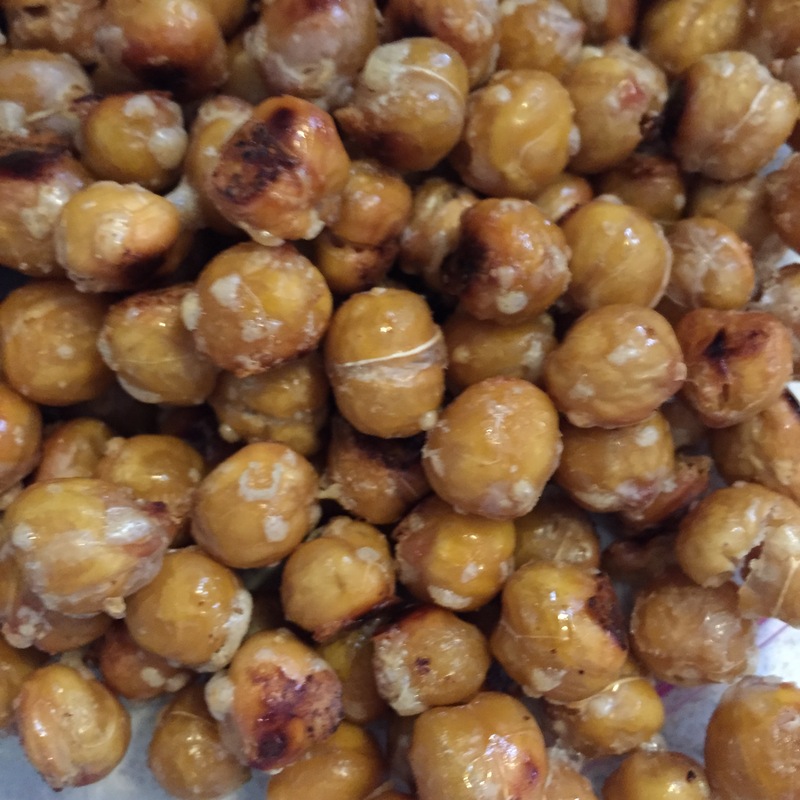 I did want to switch up my salad toppings, though, so this morning I whipped up these roasted chickpeas to take place of my homemade croutons. They were super easy and super yummy! They would be great as a snack too. I’m also thinking some taco-seasoned ones would be good on a taco salad…next week perhaps! 1.) Preheat oven to 400 F. Cover a cookie sheet with foil and spray the foil with a little bit of cooking spray. 2.) Mix ingredients in a bowl. Place in a single layer on cookie sheet, then spray lightly with spray. Bake for 30-40 minutes or until crispy!